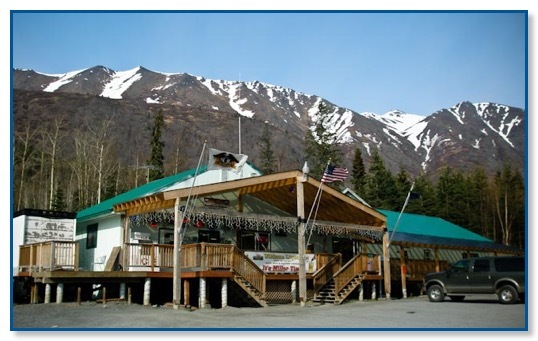 We’re closing in on a week in Cooper Landing and during that time we have gone to Seward, Soldotna, and Kenai. 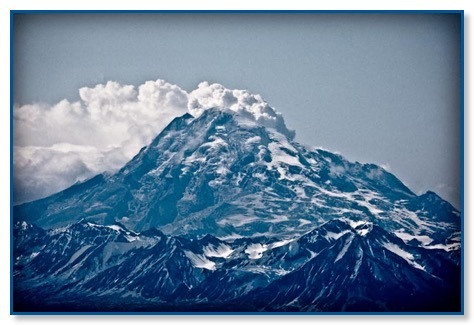 We’ve seen Redoubt Volcano (the very active volcano across Cook Inlet from Kenai). We had no idea that Redoubt would appear so close. 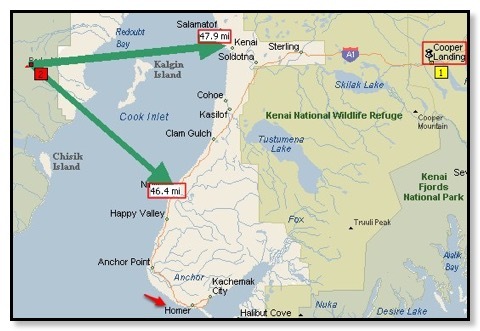 It turns out that it’s only 46 mile from the western coast of Kenai Peninsula. We are going to drive along the coast fairly early in the morning to ensure that we catch the mountain in the morning light. We aren’t even close to a routine because it’s hard to have a routine when you’re unsure which opportunity you’re going to explore from one day to the next. It’s also tough to get too enthusiastic about television when it doesn’t get dark until 10:45 (and later) and you get only 2 snowy channels. 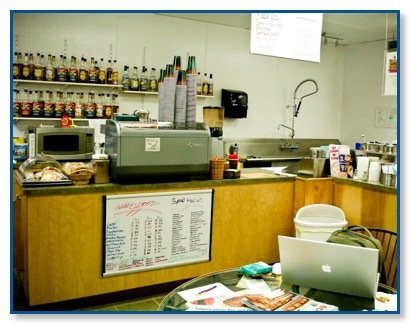 I started working at Wildman’s on Friday. 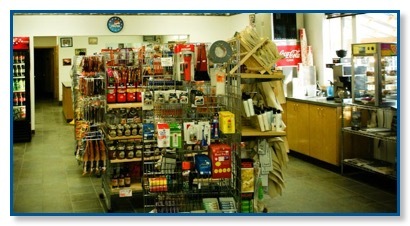 I am tending a general store with one or two co-workers and a fun group of customers. 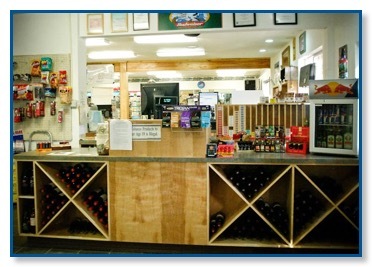 We have found that Wildman’s is a popular stop on the peninsula for locals heading to Anchorage, Seward, Soldotna and Homer. 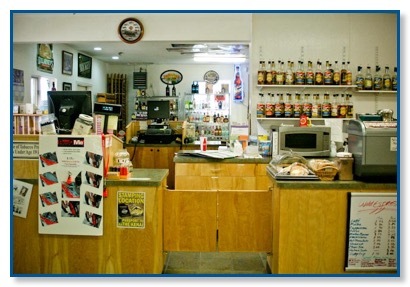 Wildman’s is also the local hang out with people greeting us at the door waiting to get in to enjoy their morning coffee and biscuits and gravy. There is a great nucleus of “regulars” who are all fun, special characters in their own right. Saturday am they were here as usual for their coffee, rolls, b&g, etc and about an hour later a large group of “bikers” arrived to hook up with them and ride to Anchorage. The Harley Davidson club was presenting the Shriners (many of the “locals” are bike riding Shriners) with a donation, so a good sized contingency (of Shriner/bikers) gathered here and then rode together. 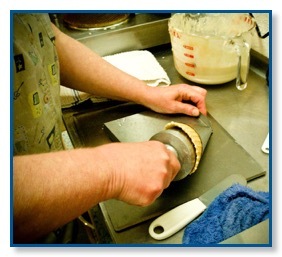 A favorite station -- try a thick, delicious shake or a home-made waffle cone! 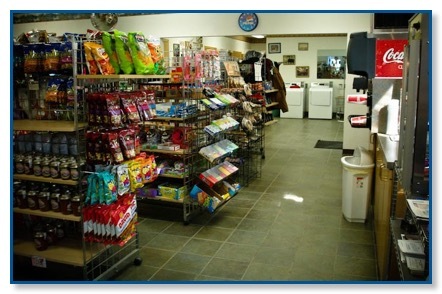 Your regular coffee station on the right wit the muffins and other sweets as well as sundries and snacks. 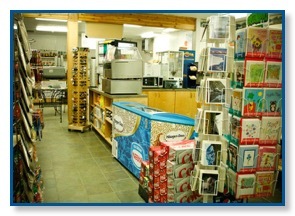 Need a greeting card, ice cream bar, hot dog or corn dog? Make this your stop. More of your favorite food group. 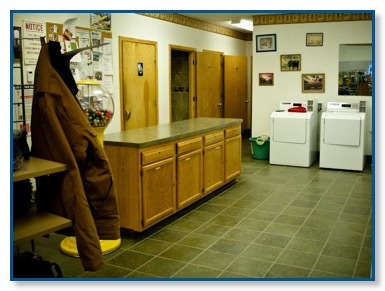 Or do your laundry, take a shower or purchase a Carhart jacket. 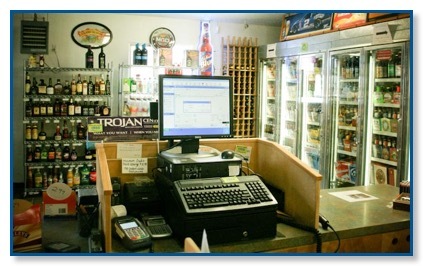 And your adult beverages from the store side and.......... from the customer perspective. This is a small community and everyone seems quite involved in its success. I would almost guess if you are involved in one organization, you are involved in 4 or 5. It is a nice small town feeling and after only 3 days of work I feel like I know so many people oh, and how they like their coffee. And it is not just coffee it is a latte, cappuccino, espresso, Americano.....with shots of flavor, skinny, etc etc. OMG, I am scaring myself....I did not even know how to make a regular cup of coffee before last Friday! I actually had my first shuttle today. A fellow came in to the store and really wanted to put his boat in the water and float down the river so Maureen volunteered me to help make the shuttle, as the season and work for me does not really start until June. Heather, Maureen and I drove to Sports (Ferry) and picked up a customer’s truck and boat trailer and drove it to Jim’s (Russian River Campground) while he and his family floated down the Russian River. Heather gave us a little tour of the landmarks in the area. Later that evening we went to the Kingfisher’s for a delicious supper where we ran into him and asked him about his trip. He was enthusiastic about the trip - slow, relaxing and beautiful. Our schedule is 3 days a week - Friday through Sunday. This should work well since there should be a drop off in crowds during the week. We’ll want to trade off on occasion to take advantage of week-end events that look particularly appealing. Tomorrow, if the weather cooperates, we’re going to Homer. They had a Migratory Bird Festival this weekend and we hope to catch some of the sights that might be left from the festival. Homer is an incredible town anyway with a collection of bald eagles (remember Maureen Jeanne Keene? Oh, do Google her!) and that will be reward enough. 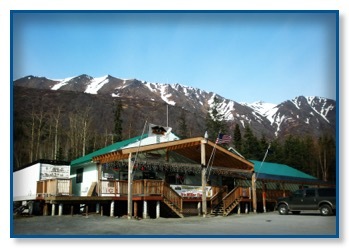 This time we will not miss the Salty Dog Pub....quite a landmark there in Homer that we ignored last time. We just got a picture of it, of course. Each time we see someone with a Salty Dog tee shirt in CO or during our travels we remind ourselves that we are not going to miss it this time!